Sorry the Album Of The Day is a little late today. 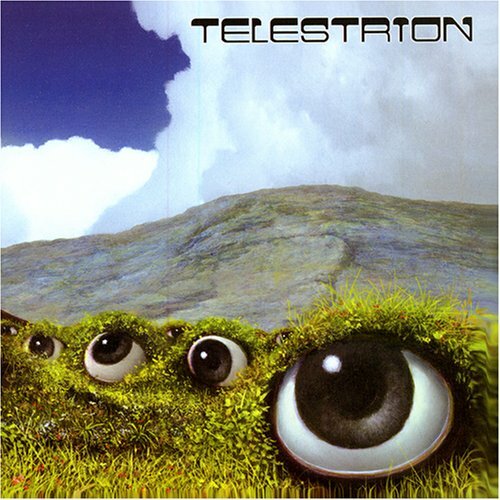 Regardless, Telestrion's self-titled 2007 album is the Album Of The Day. Enjoy! By the way, I may or may not have time to post tomorrow. I have a full slate of stuff to do. Have a great weekend, I know I will. Telestrion is a four-piece heavy psychedelic rock band whose sound is a fusion of timeless riff-rock masters such as BLACK SABBATH, LED ZEPPELIN, and CREAM combined with modern freak out sensibilities of groups like FU MANCHU with a bit of the weird, synth, excessive phase/flanger/delay sounds of bands like THE FLAMING LIPS. Telestrion’s self-titled debut was recorded over two weeks in Kennesaw, GA under the direction of sound mixers Don Tart (Cee-Lo and Jackyl) and Jeff Tomei (Smashing Pumpkins, Jerry Cantrell). The band formed over the course of the summer of 2006 in Atlanta, Georgia. Andy Samford (guitar,vocals), Brian Holcomb (guitar, vocals, thermin), and John Smith (bass) played together in the now defunct Qualone and found steady rhythmic grounding with the additions of Chris Stewart on drums.